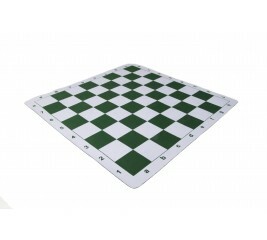 Our Thin Soft Mouse Pad Style Tournament Chessboards are standard tournament size (20'' x 20'') with 2.25'' individual squares and rounded corners. Unlike other mouse pad chessboards available on the Internet, our mouse pad style chessboards are COMPLETELY ODORLESS - No strong chemical smell! They are completely washable, will not crease or crinkle. Guaranteed to lie flat, no more turned up edges! Fits rolled up in our Deluxe Chess Bag. 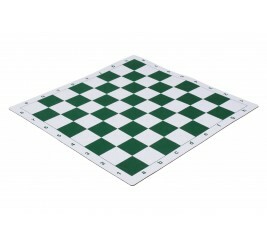 Our Soft Mouse Pad Style Tournament Chessboards are standard tournament size (20'' x 20'') with 2.25'' individual squares and rounded corners. Unlike other mouse pad chessboards available on the Internet, our mouse pad style chessboards are COMPLETELY ODORLESS - No strong chemical smell! Guaranteed to lie flat, no more turned up edges! Fits rolled up in our Deluxe Chess Bag.